Wonderful Tonight is, well, a wonderful song 😉 You will be able to learn it as an early beginner, even if you just picked up the guitar not long ago. In fact, this was one of the first songs I ever learned, I still remember playing the main riff to one of my friends just a few weeks after I got my first guitar. Our video tutorial on Wonderful Tonight will cover several sections of the song, including the popular main riff, as well as the chords you could play while someone is singing the lyrics. In fact, if you learn all of the chords, you will be able to play along with the actual song. Try it once you can, it’s awesome! We’ll start the lesson by learning the intro riff to Wonderful Tonight. It is undoubtedly one of Eric Clapton’s most known riffs, and you, as a guitar player, must know it as well. It is very simple though, I’ll walk you through it step by step. Once you know the chords, you can choose how you want to play the through the song. As a beginner, a single strum per chord will do. That’ll already improve your timing and sense of rhythm playing it along with the original song. After you are comfortable with the chords and changing in between them, have a go at the arpeggios I teach you in the lesson as well. They sound great, and they’ll really improve your muscle memory in your plucking hand as well. Make sure to start out slowly, and use alternate picking to play each note of the arpeggio. And once you can, have a look at the arpeggio embellishments we’ll learn at the end of the lesson. They’ll add a fine, delicate touch to the arpeggios, making them just a bit more interesting. Wonderful Tonight was written by Eric Clapton and released in 1977 on his 5th album, Slowhand. Clapton wrote the song about George Harrison’s (The Beatles) wife, Pattie Boyd. George and Pattie divorced, and Clapton married her in 1979. The song didn’t reach the top of the charts, it topped out at 16 on the US Billboard Hot 100 in 1978. Despite this, it is one of the most memorable songs created by Eric Clapton. Sorry, but you've reached a premium content area. The download of the Wonderful Tonight tablature file is only available to premium members. Sorry, the same goes for the backing track. To download the backing track to Wonderful Tonight, please log in and revisit this page. At 2:30 you say that the 14th fret on the D string is the G root note. This a E note? Missing tab for main riff in the tab pdf file. I found it in the Gprotabs database. 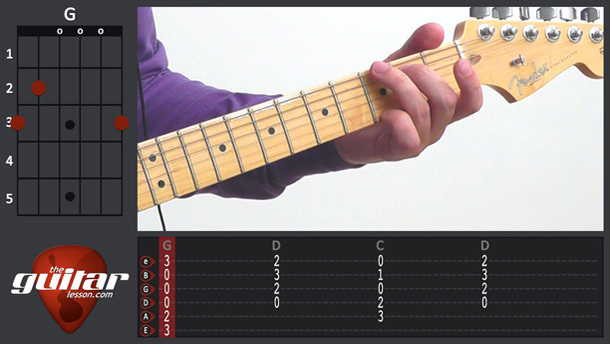 I would like to see Guitar Pro tabs for all your lessons. For this lesson you could have multiple tracks. One for main riff, one for chords, one for arpeggios, others for backup. Using Guitar Pro I can gradually increase my tempo. Oh you’re right, I corrected that, and the tablature as well. Your idea about using GP6 tabs is good, I may just use that format instead of the PDFs in the future. I’ll think about it all.